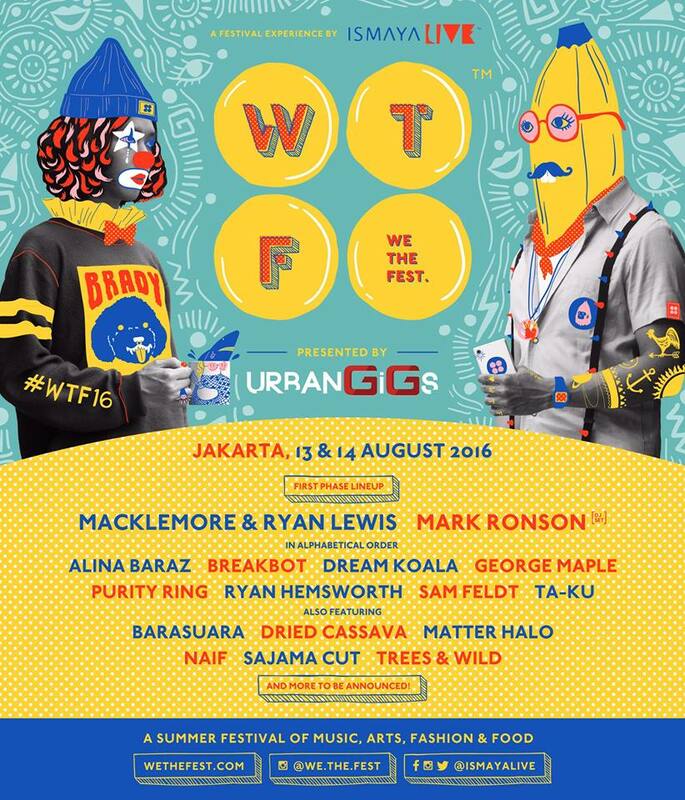 Home / festival / indonesia / macklemore / mark ronson / music / news / ryan lewis / we the fest / wtf / We The Fest 2016 features Macklemore & Ryan Lewis, Mark Ronson and more! 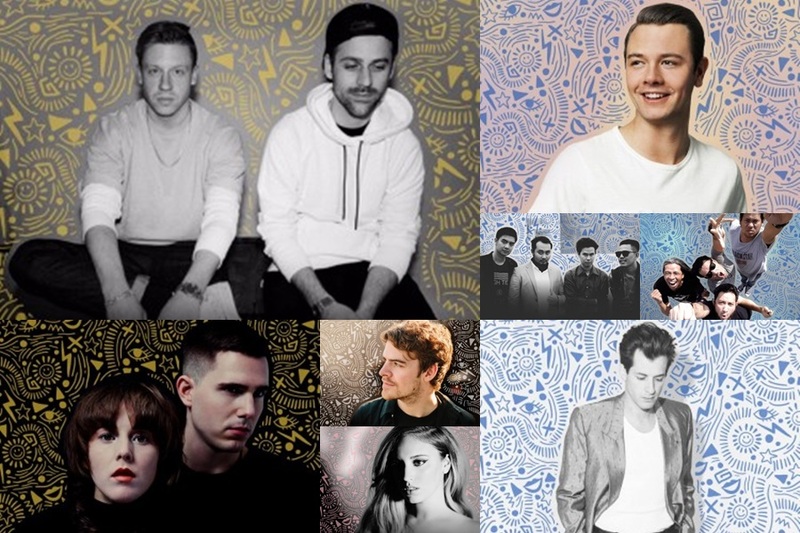 We The Fest 2016 features Macklemore & Ryan Lewis, Mark Ronson and more! Returning for the third year now, Indonesia’s most anticipated summer festival, We The Fest is back in town as a two-day event – meaning, more music, art, fashion and food! Taking place on 13 and 14 August 2016, We The Fest 2016 (WTF 2016) is set to feature big-named artistes across different genres of music to welcome the summer. The first phase line-up of WTF 2016 includes international acts like Macklemore & Ryan Lewis, Mark Ronson, Purity Ring, Alina Baraz, Ryan Hemsworth, Sam Feldt as well as some local acts like Barasuara, Naif, Sajama Cut and Dried Cassava. More acts will be announced soon in the second phase announcement! Last year's WTF featured the likes of Kimbra, Jessie Ware, Echosmith, Sheppard, Flight Facilities and many more. Ticket price starts from IDR 720 onwards. For more details on the festival, log on to wethefest.com.